Battlefield 1 players that have not already experienced the additional DLC packs made available to those who purchased the premium pass for the Battlefield 1 game. 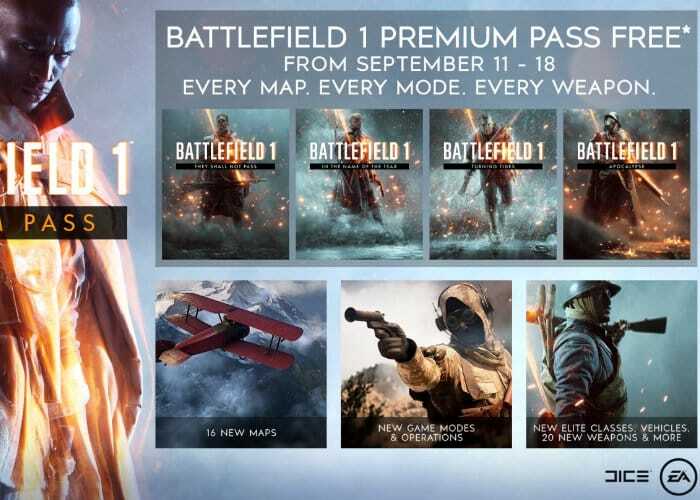 Can take full advantage of a new special offer announced by DICE offering the Premium Pass for free between September 11th -18th, 2018. During this time players will be able to claim a Battlefield 1 premium pass and download all the content applicable to the Battlefield 1 game for you to enjoy permanently. The significant three special offer has been created to celebrate the close of Battlefield 5’s open beta. Battlefield 5 will be officially launching on November 20th, 2018 and will be available for the Xbox One, PlayStation 4 and PC systems. For more details on the new Battlefield 5 game and Battlefield 1 premium pass jump over to the official EA website by following the link below.